This is the fifth post in a series on the limits of art as a term. Parts One and Two and Three and Four might help new readers, context-wise. This past year, I’ve been working to establish a small business called Gray Blush Gallery. I’ve tried to mention the project on this blog from time to time without just coming right out and saying buy art buy art online buy original art online buy original art online and do it right now because the original art that you can buy online at Gray Blush Gallery is really quite good and you will rather like it. Restraint has not always come easily. Gray Blush Gallery is a place to buy gallery art online, but we usually refer to it simply as a place to buy art online, and I’d like to talk a bit about why that is. Our advertising and traffic data is (1) necessarily somewhat private, (2) probably boring to most people who are not us, and (3) still inconclusive. But I’ll say this: people don’t usually find us by searching for paintings (even though we have a lot of paintings), or by searching for an art gallery (even though we most certainly are an art gallery, albeit a gallery of ones and zeroes rather than bricks and mortar). And certainly, no one is searching for gallery art, since that’s a term I more or less made up. The data suggests that people who are looking for an art gallery don’t expect to be able to buy anything. They anticipate a one-way communication in which the gallery presents stuff for them to look at and appreciate, and then they look at it and appreciate it, and that’s that. Likewise with paintings. Your average Google-user doesn’t seem to be searching for paintings in order to buy them. When people want to find the sort of stuff that Gray Blush sells—unique art-objects in traditional gallery media—they seem to search simply for art. This means that Gray Blush Gallery gets stuck in among art galleries that don’t sell the work they display, abstract academic discussions about art as a concept, and the sorts of mass-produced art prints in which Art.com tends to traffic. Now, I’m not badmouthing any of those three groups. I love museums, I’m (obviously) interested in discussing art, and I have no issue with mass-produced art-objects of any kind. 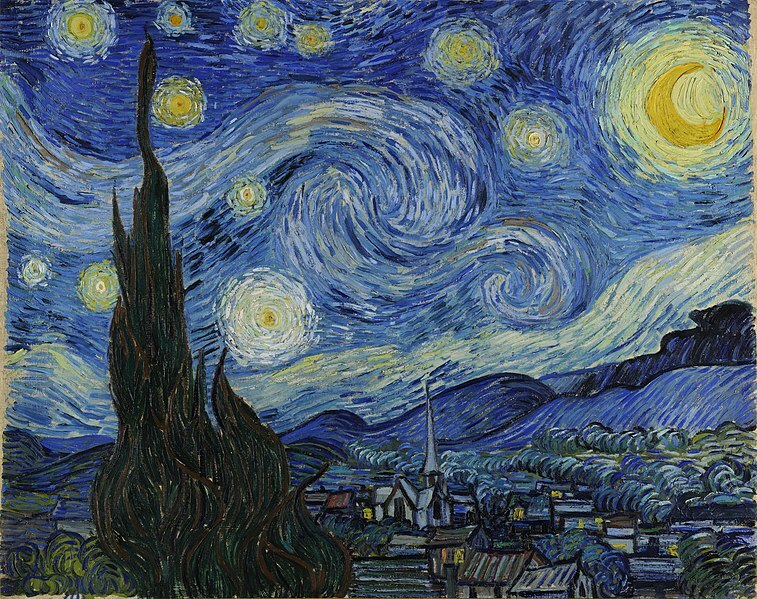 What is sort of an issue, for me personally and presumably for others with similar business models, is that there is no word in contemporary English that clearly indicates the difference between a Starry Night poster in editions of ten-million and the original Starry Night, of which there is only one. We can agree that there’s a difference—and indeed, some will say with great vitriol that the former is not art—but how does one explain that difference to another person, let alone to a search engine? Words like original and unique do describe the difference, but they can easily be misconstrued as value judgments. A print of Salvador Dali’s work could reasonably be described as unique in its style and original in its aesthetic intent, at least when viewed in its proper historical context. And besides, lots of contemporary artists are creating original art that is meant from the first to be mass-produced. So neither original nor contemporary will do the trick. No, as I’ve said, when we want to describe unique art-objects in traditional media, we generally just call them art. Which would be fine, if not for the unruly gelatinous mass of alternative definitions that burdens the term at all times. By calling gallery art art, we grant gallery spaces and traditional media a mystical, totemic power. We keep them those media and institutions at a distance. We make them remote at best, and frightening at worst. And if we use a more precise or less intimidating term than art, then ironically, what we’re saying immediately becomes less clear to most readers, listeners, and potential art-buyers. We’re compelled to rely on a word that is vague and spookily unfixed. So the solution is not merely to start using a different word (which would only confuse matters). The solution, rather, is to demystify gallery art—which is easier said than done, of course. But hey, we’ve worked hard to make Gray Blush Gallery inviting, accessible, and substantive. So that’s a start. And understanding the history of the word art, and its quagmire of contradictory definitions, and its shaky utility in the marketplace—I would like to think that understanding all of that is a pretty good start, too. Once upon a long time ago, I went to an well known art school. There was a lot of discussion about “art” – what it is, how to define it, how to recognize it, how to judge it, as well as how to produce it which is what we were supposedly there for. This is one of the most intelligent pieces of writing I have ever seen on the subject, especially since I was always (and still am) somewhat intimidated by “art galleries”.